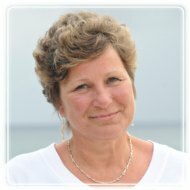 Shrewsbury Therapist: Cathy Noblick - Therapist 07702. As an individual, marital and family therapist with over two decades of experience, I am passionate about what I do. I feel privileged to work with people who are committed to positive change, and I have helped hundreds of people feel better about themselves, their lives and their relationships. In my current practice, I am fortunate to be doing work that utilizes my greatest talents, skills and strengths, and I believe I am doing exactly what I was meant to do. My style is relaxed and informal. I take an active role in sessions, and I prefer to focus on solutions rather than to dwell on the problems of the past. Couples find me fair and objective. I have significant training in the evolving field of the psychology of happiness, and I appreciate humor as a healing tool.